This image is from the residential page of Ilse Crawford's design website, Studioilse. 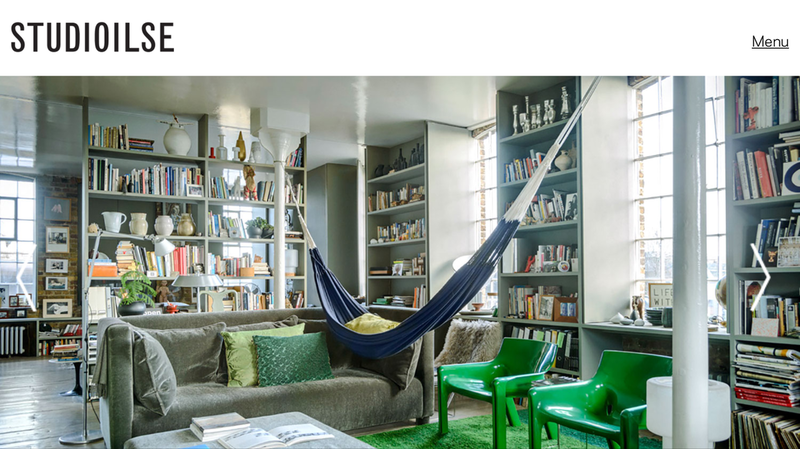 If I were a room, this is the room I would be: filled with light and shades of green and books and treasures. And a hammock. 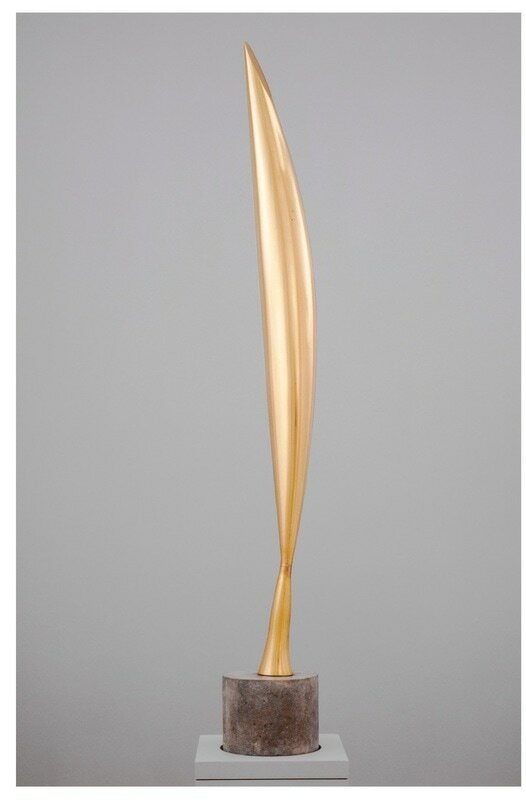 Crawford's work and philosophy is featured in the eighth installment of Netflix's new series, Abstract: The Story of Design, the first exposure I've had to this artist whose approach to design inverts the poetic logic of the Old English term for the body, the bānhūs ‎(“the body, the chest, breast”, literally “the bone-house”). Her spaces are meant to imbue the sensual body with well-being, with nourishment. And at the heart of her creative process is her studio's "materials library," a catalog of textiles and stone, skins and colors, where objects are brought in relation to each other. I couldn't help but think of an externalized creative process model that emphasizes curatorial judgement (which requires access) and a facility with stringing words together to form constellations with Calderesque proportions. In the pages of Margaret Anderson's The Little Journal, the poet Mina Loy's ekphrastic poem "Brancusi's Golden Bird" appeared. I was reminded of it this week when I read about Princeton’s Blue Mountain Project making available an entire digital library of modernist avant-garde literary journals. I’ve only just begun to imagine all of the ways I could use these in classes. For now it’s enough to peruse from it and from Brown University’s similar collection that includes Margaret Anderson’s The Little Review, in whose pages I discovered how Loy used fragments of language from Ezra Pound's review of Brancusi's work in her poem, which I argue challenges male theories of genius that were circulating at the time. This week, after learning about a nearby sun, TRAPPIST-1, and its seven planets, three of which might be inhabitable, that is, relatively Earthlike, my poet brain was pulled to a very "what does all this mean" place. I have been reading the only novel the German poet Rilke ever wrote, The Notebooks of Malte Laurids Brigge, a novel more about the protagonists interiority than anything else. In one part, the protagonist talks about every person carrying within him his own death, like a stone you carry your whole life. This was the link to the Hieronymus Bosch painting, The Garden of Earthly Delights, and the delight of this three minute short, an 21st century update of the painting, rendered in animation. According to the studio, the short is about “consumerism, selfishness, escapism, the lure of eroticism, vanity and decadence. All characters are metaphors for our society where loners swarm their digital dream world.” In a strange way, the nihilist moment I was having gave way to something else, perhaps a meaningfulness about the way we live. Wonderful and weird, I learned about the Voynich Manuscript from the Los Angeles Review of Books. In the article, Raymond Clemens wrote, "One does not read the Voynich; rather, one reads its very resistance to reading." Since I've been writing about reading and writing a book about, among other things, what it means to read uncritically, the Voynich made me think about what it means to say that you can't read a book. What is the experience of a book in your hands? I don't know what the women in the viaducts are doing or why they're there. Sometimes, writing by the seat of your pants feels as puzzling as trying to make sense of the Voynich. 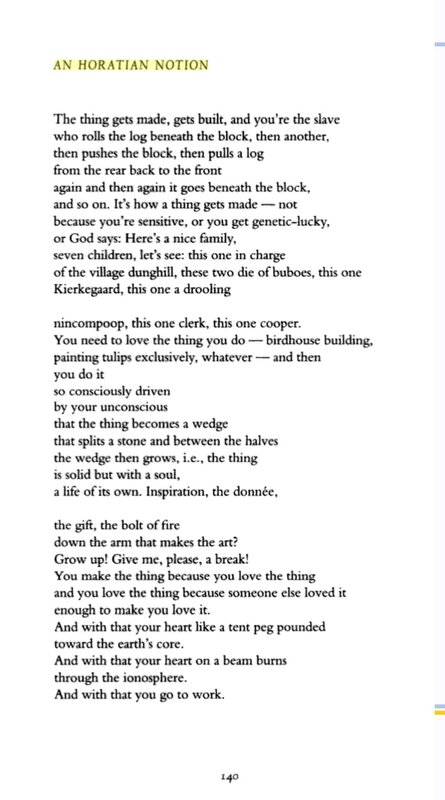 Thomas Lux died this week, a beloved poet and teacher whose work has moved me, especially this poem, "An Horatian Notion," where he tells us "You make the thing because you love the thing/and you love the thing because someone else loved it/enough to make you love it." And finally, "get to work." You call also hear him talk more about his work here. 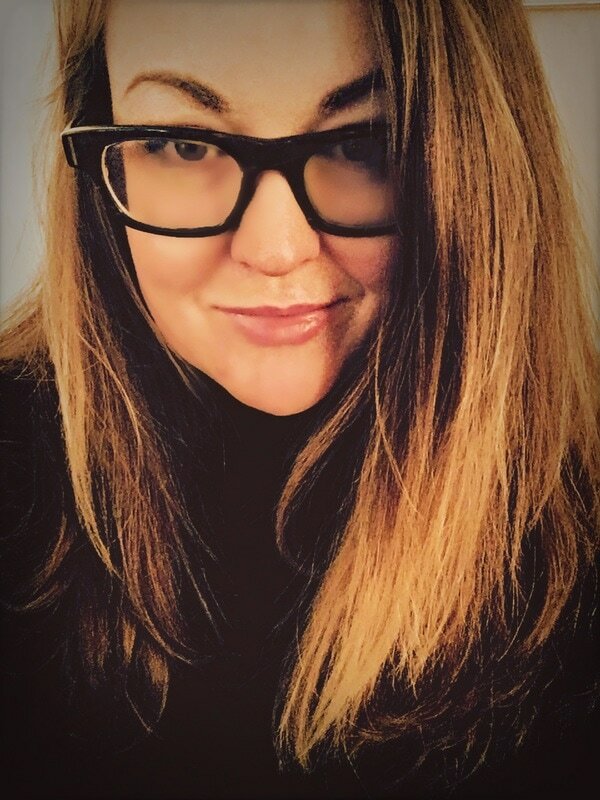 Lindsay Illich is Boston-based writer and professor of writing at Curry College.